i don’t know much about comic books tho naturally i read them as a kid in the ’40s/’50s. Back then there were no or few people of color in comics, and certainly no Black people. Superman, the first comic, came along in ‘36. He was a White Superhero, and as i remember, one man with super powers fighting enemies in the Metropolis – and worldwide. His enemies just happened to be America’s enemies too: petty criminals at home and foreign terrorist from abroad. His friends were the Metropolis police commissioner, the mayor; reporter: Lois Lane, and everyday working stiffs: construction workers, shop keepers, etc., encountered in passing. The monthly comic was colorful, 10 cents a copy, 10 pages or so and entertained a circulation life of about 6 months. It was also a boon to those with poor reading skills. They could almost teach themselves to read or greatly enhance their reading ability thru careful study of the pictures, actions and word balloons of the characters. Superman and similar comics of the era taught basic purported American values: fair play, don’t lie, cheat, steal or kill; work hard and one can make it in America – and any boy can grow up to be President. Number 13 is obviously a new and different comic. It’s about all people: those of color, non-color and hybrids too. 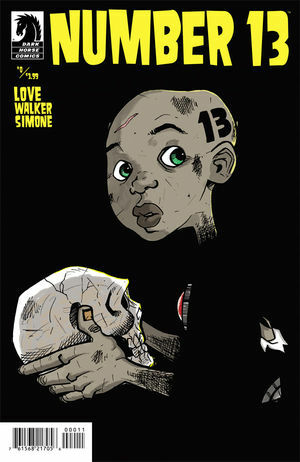 13 is a Science Fiction comic that begins after the world ended. The earth has been devastated and is now populated by humans, mutants, ogres, cybernetics: part human-part machine and similar survivors of the plague. The planet is divided into those who are immune or those who are infected, now at war with each other and forming alliances with others of like mind or predicament. 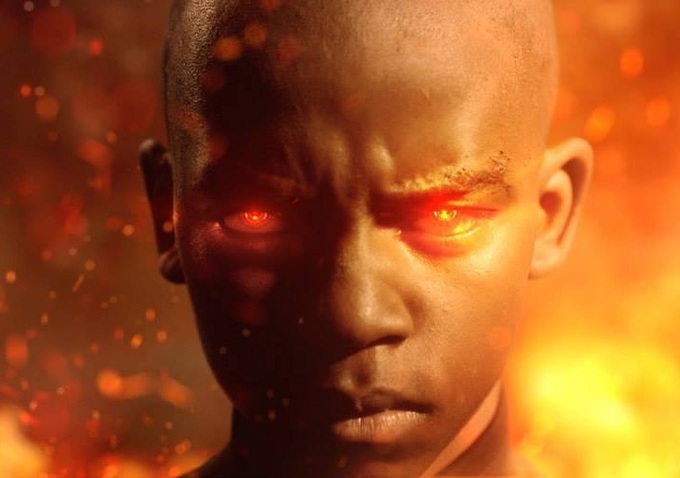 The protagonist is a lone cybernetic boy with hidden superpowers, a broken memory system and the number “13” stamped into his head. He stalks a desolate and hostile landscape searching for his daddy. This is a short trailer for a film version of Number 13 available here. Number 13 is 58 pages of action, color, fun and suspense. The cover and each page is highly polished, glossy finished, thick, durable and made to last for decades; more like a collector’s item than transitory reading. It makes for an excellent treat to oneself or gift to a family member or friend. Price is 15.99 USA, $17.99 CAN. This entry was posted on Wednesday, November 13th, 2013 at 9:05 pm	and is filed under Written by Sundiata Acoli. You can follow any responses to this entry through the RSS 2.0 feed. Responses are currently closed, but you can trackback from your own site.